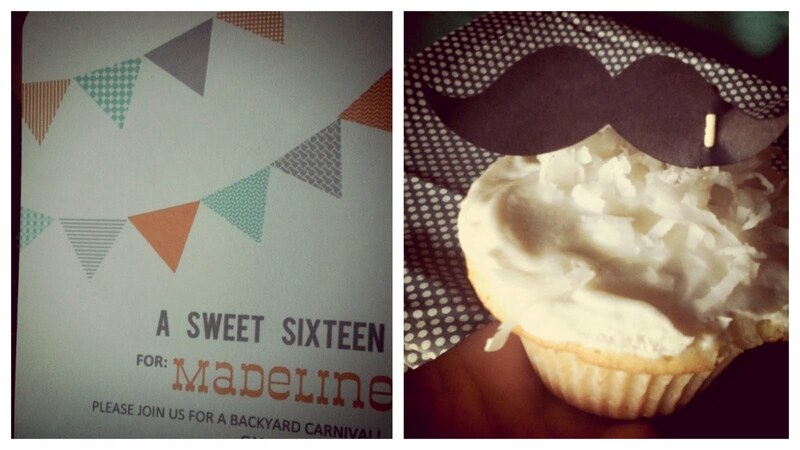 Last night we celebrated Madeline's 16th birthday in our backyard with all of her friends. It was loads of work, but so much fun. She's got a great group of friends. And so do I. Friends and family came to my rescue and helped with so many details of the party. 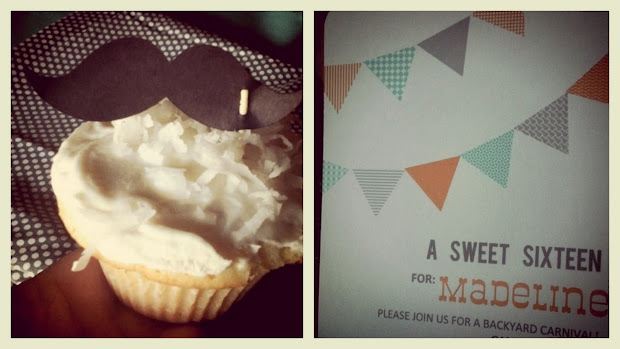 Danyelle and Lindsay collaborated to make these adorable + delicious cupcakes featuring a mustache [Madeline's favorite symbol!] and my cousin Alicia made an adorable cake, decorated in fondant bunting. Pictures were taken by my sister in law, Melanie, and I will share them sometime soon. In the meantime, I am grateful to have such wonderful people in my life, grateful to have great children who have good friends, and grateful to have a supportive husband who helps hang lights and bunting in the heat. ** In other news, next week is a big, BIG week for us. We take our pigs to fair on Monday, the kids begin showing their pigs on Tuesday morning, and then on Tuesday afternoon, our foreign exchange student will arrive. We are so excited to meet her. She will get an interesting initiation to this American life while attending the county fair with us all week. Can't wait! !